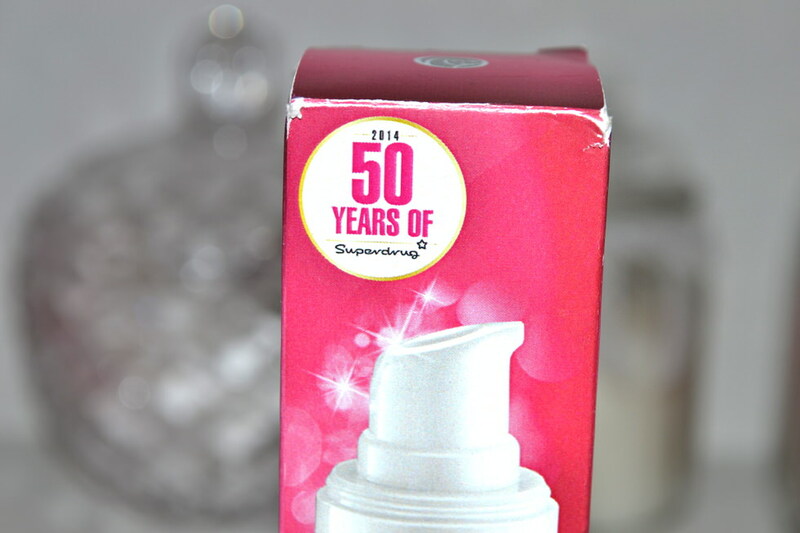 As many of you know Superdrug has turned 50 and to celebrate the event some products have been given a make-over with pink packaging. As you can see in the pictures above this packaging is such a beautiful colour, it’s a deep pink shade which I love and will actually be great for a present as it’s only a limited time before everything returns to normal packaging again. It’s a slim, tall bottle, airless which is great especially for taking away on holidays too! This reminds me so much of the hydration and primer, if you had both products unlabelled it would be very hard to tell the difference. It’s a really lovely product, it smells so fresh, it’s lightweight on the skin and I like using it as a moisturiser. I wouldn’t choose this for a “makeup base” as I prefer my normal primer which gives my skin a matte look but do think many people will benefit from this and like how it feels on the skin.